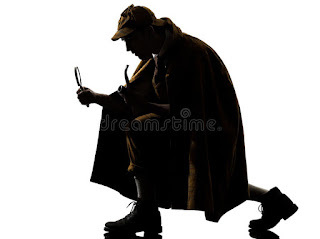 Investigating the "Third Secret." 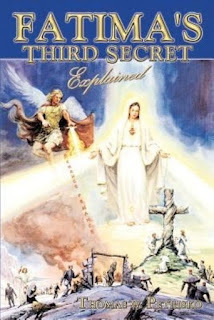 We Must Rethink the "Third Secret" "Revealed" in 2000, which Reduced "Sister Lucy" to a Sycophantic Devotee of the Man Who Brought NewChurch into Full-Blown Apostasy, JPII. Fr. Marc Vernoy SSPX Calls His Fellow Priests to Do their Duty and Denounce and Fight the Evils of the Modern World and the Novus Ordo Sect. He is Obviously a Courageous Man. Ever Expanding Sister Lucy Truth Investigation Expands to Include the Third Secret. Top Handwriting Analyst Is Examining Writings from Sister Lucy I and Sister Lucy II, along with the text of the Vatican-released "Third Secret" of 2000. We Still Need Your Help! If this is the real Sister Lucy, then you have to also say that the Third Secret revealed in the year 2000 WAS the entirety of the Third Secret. 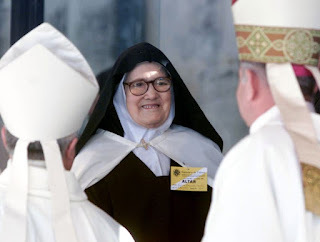 If the woman captured on the video above, from May 13, 2000, was truly Sister Lucy then we can say that she completely endorsed both the revelation of this "Secret" and the contents of this "Secret." If she is an imposter, then the "Third Secret" of 2000 has ABSOLUTELY NO CREDIBILITY WHAT SO EVER. Sister Lucy at the Age of 80. What Our Forensic Artist Says She Should Have Looked Like and What the Imposter DID Actually Look Like. 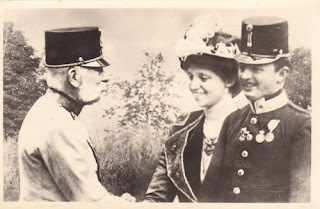 The Blessed Emperor and the Tragic Fall of A Catholic Dynasty: Why Nobody Should Be Celebrating the End of World War I. 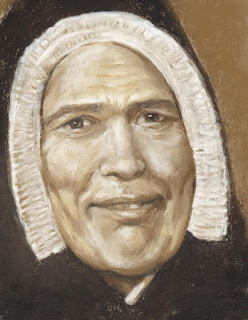 What Sister Lucy SHOULD have looked like at the Age of 60 and What she "Did" look like. One of the Best Forensic Artists in the World Presents their Rendition. Again, No Problem Here! 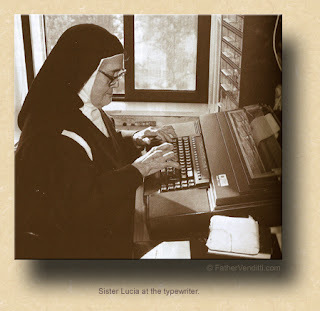 Help Sister Lucy Truth Crack the Secret of the Third Secret: General Call for Writing Samples from "Sister Lucy". Sister Lucy Truth is putting out a general call for any writing samples that may be in the digital or printed possession of our readers. These should be originals or high-quality copies. We are submitting these samples to the best analysts in the world and will need as many from the pre-1967 Sister Lucy and any from the post-1967 "Lucy". 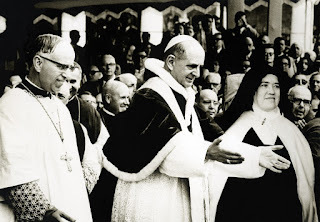 We would also like any video, photographic, or newspaper evidence from the meeting of "Sister Lucy" with Paul VI on May 13th, 1967.